This website contains numerous links to sites useful both to novice genealogists and to those who have been engaged in the exploration of ancestors for many years, but so far benefited minimally from the internet. From here one can access the sites with genealogical programs, sites containing a wealth of information for anyone who is looking for ancestors. One can find here an extensive collection of general and specialist search engines, particularly handy in genealogy research. The site contains also information about recent publications that can be downloaded free from digital libraries, as well as information about Registry Offices, state archives, church archives, and addresses of genealogical societies. A separate group consists of data on the oldest parts of families, where the author has found (or is still looking for) his ancestors. This applies primarily to Bory Tucholskie (the Tuchola Forest) and Wielkopolska (Greater Poland). The genealogy guide based on many years of experience and written at the turn of 2006 should help novice genealogists in finding their ancestors. 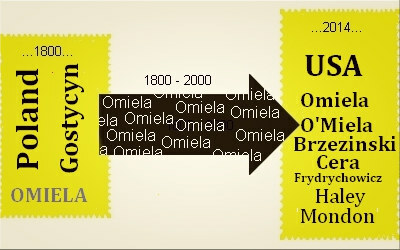 The document "Okruchy - historia poszukiwania przodków" ("Crumbs - the history of searching for the ancestors") is only a supplement to other, more detailed and broader publications on genealogy. The author draws particular attention to the important role of internet in today's genealogical research. The author used the help of many kind people - the members of the discussion group pl.soc.genealogia, in the days when it was a bustling genealogical community. This guide is free and can be downloaded in PDF format. 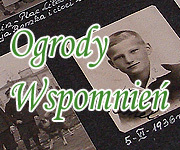 Only this page is translated, the whole site is in Polish. This is a machine translation, edited briefly by the author’s daughter. Apologies if not everything is clear. Czy wiesz, że... "lepiej cenną fotografię zeskanować i poprawić ją w programie graficznym, a oryginał pozostawić taki jaki jest, bo może być cennym źródłem danych w przyszłości?"